History and geography have combined to make the Korean Peninsula important to China’s security. Th is importance lies not only in the fact that the peninsula shares a fairly long border with China’s industrial heartland, but it also stems from the convergence—and often the clash—of the interests of Russia, Japan, and the United States in Korea. For the last century, Korea has served as an area of conflict and an invasion corridor for the three powerful states. The Chinese were involved in the Korean War from 1950 to 1953, supporting North Korea after the United States intervened on behalf of South Korea. This, together with the close ties between the leadership of the Chinese Communist Party (CCP) and the Korean Workers Party, led by Kim Il-Sung and his son Kim Jong-Il, which can be traced back to the 1930s, has reinforced the importance of Korea in China’s policy calculations. Hao Yufan is the dean of social sciences and humanities and a professor at the University of Macau and the editor-in-chief of Journal of Macau Studies. Prior to joining the University of Macau, Professor Hao was a faculty member of political science at Colgate University from 1990 to 2005. He received a number of awards and grants, including the Morris Abrams Award for International Security and Peace and research grants from the Rockefeller Foundation. 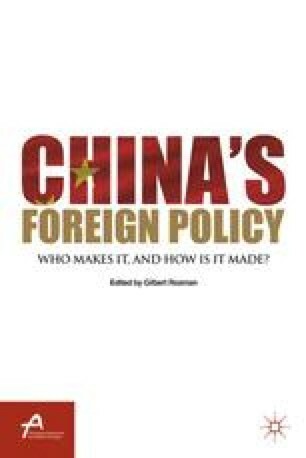 His academic interests are Chinese foreign policy, Sino-American relations, corruption issues, international political economy, and Northeast Asian security. His current research topics are societal forces in Chinese foreign policymaking, Taiwan issues in Sino-American relations, and decision-making. His recent publications are Blue Book of Macao-Annual Report on Economy and Society of Macao (2011–2012) (co-edited with Zhiliang Wu, Chinese Social Science Academic Press, 2012) and Macaology: An Introduction (Chinese Social Science AcademicPress, 2011). He received an M.A. and a Ph.D. from the Johns Hopkins University.